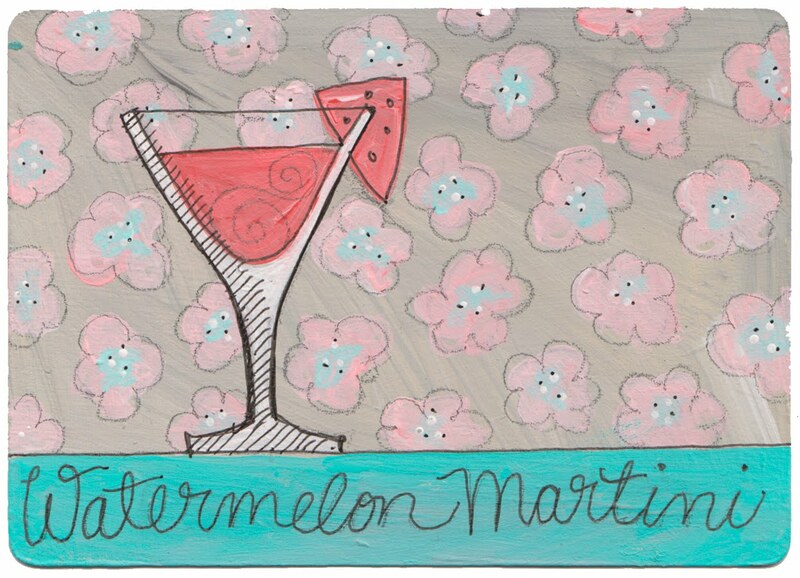 Well today was a happy day because the wonderful and creative illustrator Lisa Orgler drew my Watermelon Martini recipe for her lunch box project. How amazing is that? And the crazy thing about it is that we’ve never actually met! But thanks to the site Foodbuzz our worlds collided and here we are today. Fascinating how things can get accomplished in the land of virtual foodies. 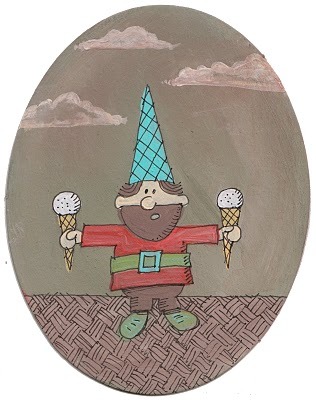 Last months theme was “Gnome made treats“. 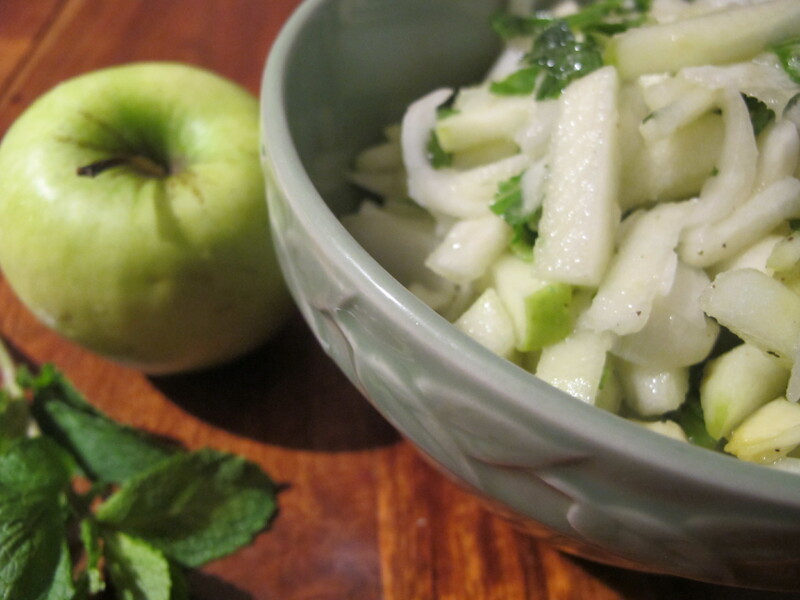 If you’re a blogger and would like to submit your recipes for her to draw read her submission guidelines here. I LOOOOOOOVE peanut butter cookies! 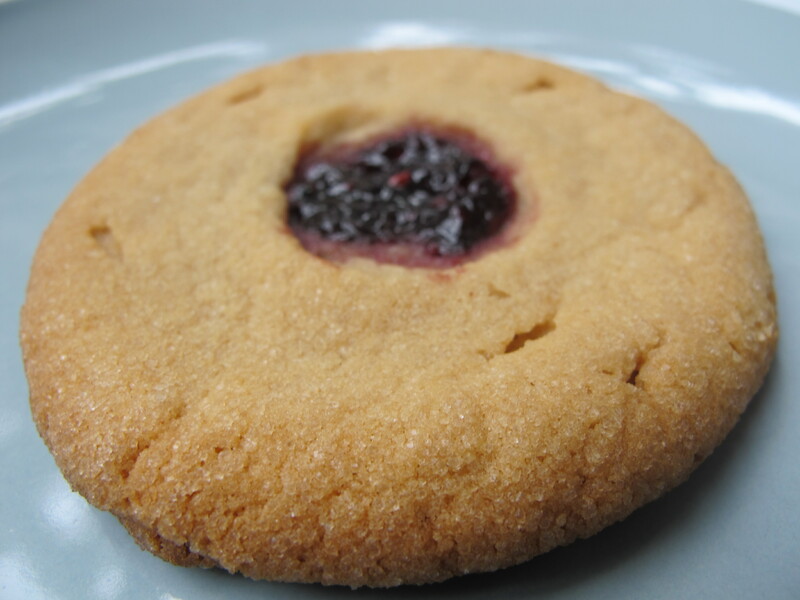 They are definitely one of my favorite kinds and I have very fond memories of baking them with my mother when I was little. 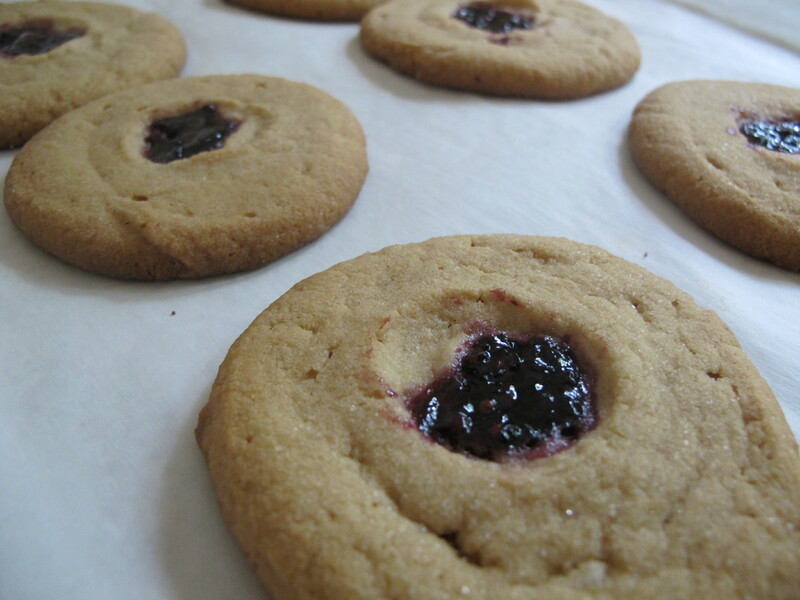 I remember taking them out from the oven and putting them on news paper for them to cool off. 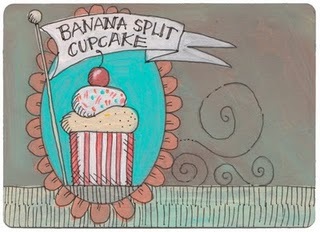 So when I saw Giada De Laurentis making them on her show, I was glued to the tv. They simply looked delicious, I had to make them at once! So after obsessing over the recipe for about a week, I finally gathered up all the ingredients and made a batch. To my delight, they were moist and delicious! The only problem was that after making them, I couldn’t stop eating them! 1- Preheat the oven to 375 degrees F. Line a baking sheet with parchment paper. Set aside. 2- In a medium bowl, stir together the flour and the baking soda. 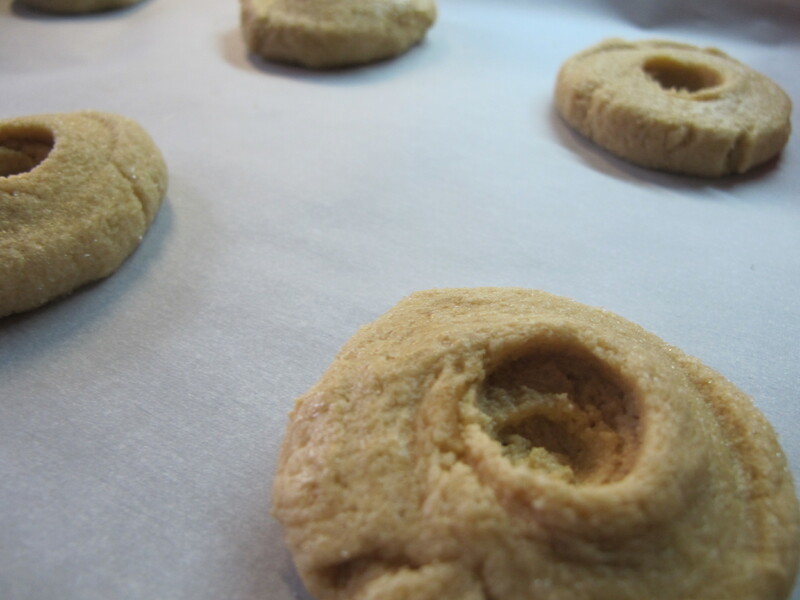 3- Beat the butter, peanut butter, sugar, light brown sugar, egg and vanilla extract and mix until blended. Gradually add the flour mixture until incorporated. 4- Form the dough into small balls. 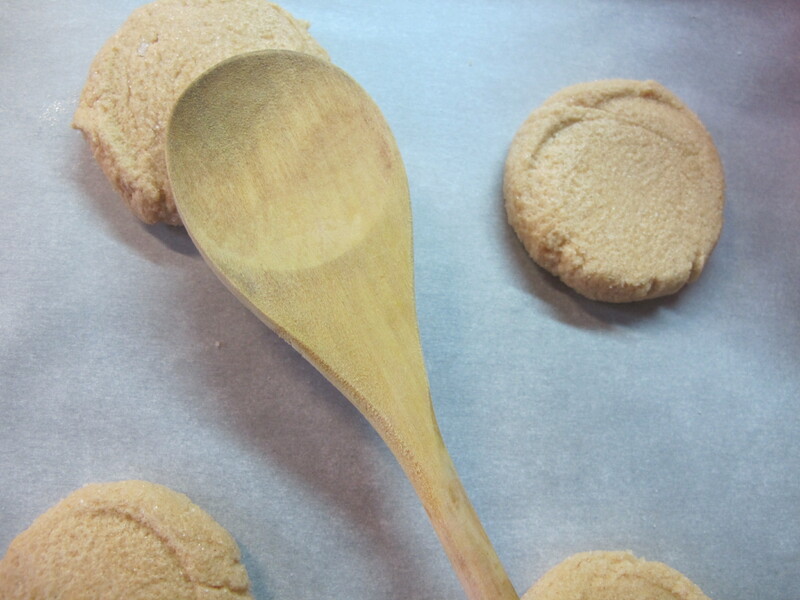 5- Using the thin end of a wooden spoon, make a hole in the center of each ball of dough, about 1/2 to 3/4-inch deep. Spoon 1 teaspoon of jam into each hole. Bake for 11 to 14 minutes until the dough has spread and the surface of the cookies are crackled. My magic number was 12 minutes! Cool down cookies and serve! Orange, sage & ginger butter sauce! The fun thing about cooking, is that you can always get better at it! The more you cook, the more you understand which ingredients go well with one another, and then it becomes easy to improvise. 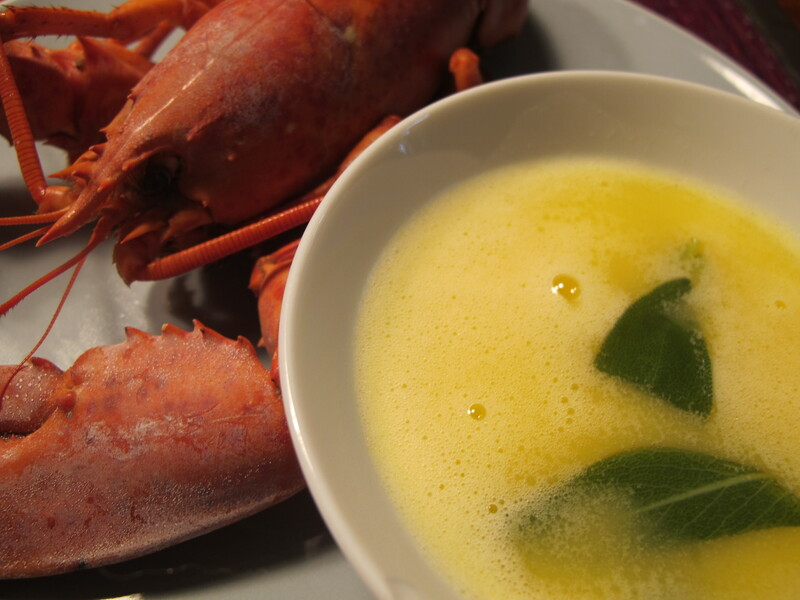 So here I was, in my kitchen and everybody was at the table asking me to make a garlic and butter sauce, the typical sauce you usually eat with lobster. But I was looking for something different and boy did I find it! The orange and the sage really blend perfectly with the lobster, not overpowering the taste, but softly accompanying it. Your guests will only be asking for more! In a sauce pan, heat the ginger and the butter together. Once the butter is melted add the orange juice and the sage. And there you have it! Just make sure you serve the sauce while it’s hot! Ps: I also discovered this summer that pre-cooked lobster was pretty good. You just have to boil them for about 3 minutes before serving. They tasted great!